Maiella Fieldtrip from July 14 - 19, 2019. The field seminar will focus on the coarse bioclastic wedge of the Upper Cretaceous Orfento Formation that is now recognized as a drift delta. 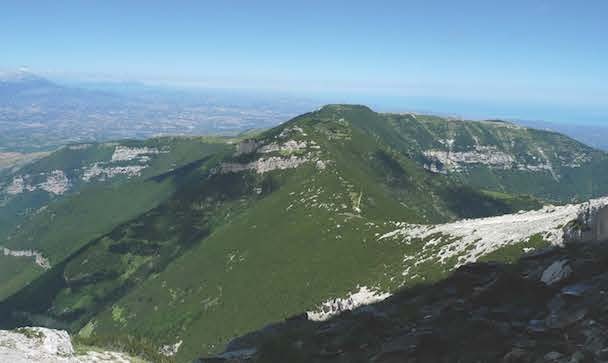 Furthermore, the Madonna Della Mazza quarry will be visited, where fractures and faults in the Orfento Formation were imaged with Ground Penetrating Radar surveys and where an infiltration experiment was conducted. In addition, the platform margin architecture and mass gravity flow deposits in the basin adjacent to the escarpment-like margin will be examined.